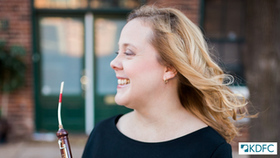 Cally Banham has been a proud member of the St. Louis Symphony since 2006, when she was appointed to the Solo English horn position by Music Director David Robertson. 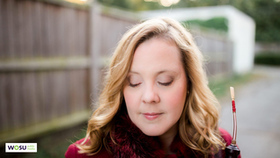 Before joining the St. Louis Symphony, she held many posts, including English horn with the Buffalo Philharmonic, Principal Oboe with the Memphis Symphony, Fellow with the New World Symphony, and English horn with Orquesta Sinfonica del Estado de Mexico, in Toluca, Mexico. She has been featured as a soloist numerous times with the St. Louis Symphony, most recently in the fall of 2014 with Sibelius's Swan of Tuonela. 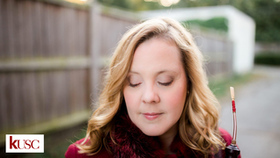 She has performed nationally and abroad at various festivals, among them Tanglewood, UBS Verbier Festival in Switzerland, Spoleto USA, Pacific Music Festival in Japan, Sun Valley Summer Symphony, and the Bellingham Music Festival. 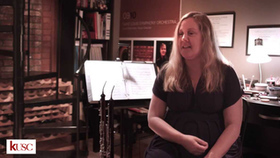 Banham is the Oboe and English horn Teacher of Music at Washington University Saint Louis. She has held a private teaching studio for 20 years and has given more than 100 educational demonstration concerts in St. Louis elementary schools. She also teaches in the master class setting and coaches the oboe students of the Saint Louis Symphony Youth Orchestra. 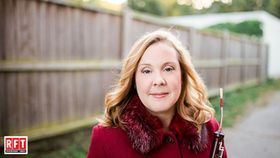 Hailed by the New York Times for "supremely beautiful playing and graceful virtuosity," and by the Boston Globe for playing "outstanding in quality of tone and eloquence of phrase," Banham has performed as a guest in the principal English horn chairs of the New York Philharmonic, Chicago Symphony, Los Angeles Philharmonic, New Jersey Symphony, and Cleveland Orchestra. In 2013 Banham transformed her hobby of dancing Argentine Tango into a musical pursuit. She founded Cortango, a Tango dance band with a symphonic twist, featuring colleagues from the St. Louis Symphony and St. Louis jazz musician Adam Maness. Cortango performed live more than 20 times in its first two years, and released its debut album, Tandas, in May of 2015. As the founder and leader of Cortango, and Executive Producer of Tandas, Banham appeared as a guest on the PBS national program Arts America. A native of Philadelphia, Cally Banham attended Temple University and studied with the late renowned Philadelphia Orchestra English hornist Louis Rosenblatt. She later moved to New York and received a Masters from the Manhattan School of Music, as a scholarship student of Joseph Robinson, New York Philharmonic Principal Oboist emeritus. 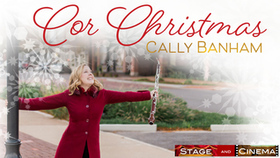 Cally Banham is the solo English horn player for the St. Louis Symphony Orchestra. She has her own ensemble Cortango, created as a result of her interest in Argentine tango. 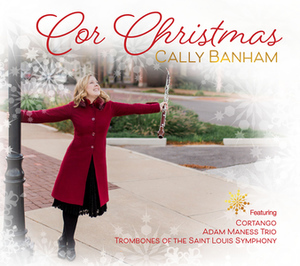 The group has collaborated with the Adam Maness Trio and the trombonists from the St. Louis Symphony in a brand new album "Cor Christmas." It's an instrumental collection of sacred and secular carols featuring the soulful sound of the English horn and presenting a journey through popular Christmas tunes in a fusion of classical and jazz styles. 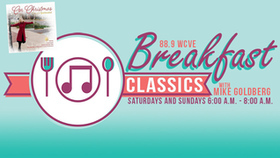 CLICK HERE TO listen in as WCVE: Richmond VA Classical Music Host, Mike Goldberg chats with Cally about her instrument and this unique project! If the English horn were a singer, it would be one of the great contraltos – Kathleen Ferrier, perhaps, or Marian Anderson. When an English horn sounds at an orchestra concert, it's usually because a composer has given the instrument an extended solo, a moment for the instrument to show off its rich and lustrous tone while the audience holds its breath. 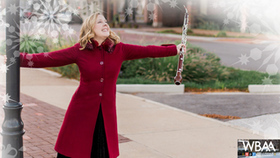 The English horn – or cor anglais – was born to give beautiful melodies the Midas touch, and that's exactly what it does again and again on Cor Christmas, a new recording of Christmas carols and songs co-produced by and featuring Cally Banham, St. Louis Symphony solo English hornist. 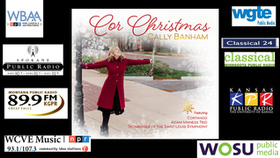 Classical101-WOSU: Columbus OH recently had the chance to chat with Banham about Cor Christmas. 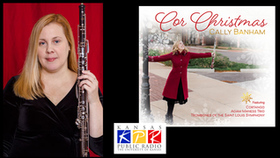 Cor Christmas is a collection of secular and sacred carols featuring the soulful sound of the English horn (or cor anglais) performed by Saint Louis Symphony Solo English horn player Cally Banham. You'll hear tracks from this new CD throughout the week as part of our Album of the Week.